Thanks guys. The rad fan switch is looking corroded and disconnected. I guess there is a damaged wire somewhere. I'll get a switch and go from there. So I've been reading Monkeys fuse box thread and despite its clarity, I'm confused. Perhaps a grown up can help me. I understand that I have a series 1 fuse box. The details I found are for the CE1 fuse box, which is different. Am I right in assuming the wiring colours are the same across all caddy's ,i.e. Rear fog = grey wire/yellow stripe? Where would I find a guide to which fuse is which on a series 1 fuse box? This is my fuse box. You Caddy never left the factory with that fusebox! Why the hell someone would do that is beyond me? My good fortune with caddys is consistent if nothing else. 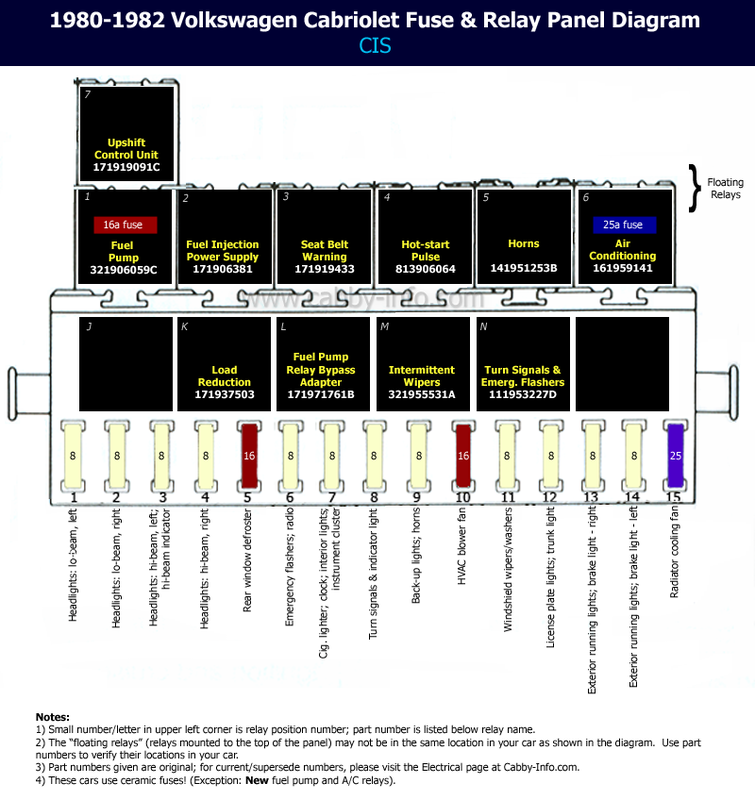 Do I persevere finding the wiring diagram for this fuse box or get a CE1 fuse box and make it as it is meant to be? Would any of you electrically minded chaps be able to point me in the right direction? Should I change my fuse box or unjuggle the one I have now? does everything work? why change it? There is a manual switch on the dash board for the rad fan and for the rear fog. I don't fancy constantly being vigilant as to when to switch the rad fan on. I know I'll forget one day. And the fog light switch gets flipped ever time I wind the window up! There are a few wires fitted to keep her going but they are all red. I'm thinking that I should fit a CE1 fuse box and an engine loom so that I can converse with those who know my system if there is an issue and that it will become a part of the car that should be reliable as its new. And thanks for the diagram. Last edited by Jango; 12-09-2016 at 04:55 PM. Thanks. I'll give it some more thought. I fell into a bucket of wires in my store room and climbed out holding this.. So I began to think about getting a loom made. However I need some guidance as the connectors that go into my old fuse box for the dash and rear electrics don't seem to match the holes on the CE1 fuse box. I don't suppose anyone with electrical experience could take a look at my previous post. I'd really appreciate some informed perspective... Cheers. however if they have been butchered to get the series1 fusebox in there then yes, buy another. Could someone tell me which engine this is please? I'm in the process of getting my looms redone and I though it best to get some new temp sensors. Below is a pic of the ones I wish to replace hilighted with post it notes. Also where would folks recommend I get them from? Thanks in advance. But as you know by now, my luck in situations as simple as these is still poor. My log book says CR and my engine looks hand stamped by a centre punch to form the letters JF! I guess I'll play pot luck with the heritage folks unless there's a better option. I've looked on the retrofication site first, of course. Got all my looms personally delivered and I helped with the installation (I made the tea). Naturally, it turned out that my engine was very old stock and not known for propelling a caddy. Massive, heart felt and much appreciation goes to Dub Monkey. Such a nice and genuine chap. I would have had no chance of getting my truck wired correctly if I didn't get his help. Cheers dude. Shaun what happened to your old shell?